Despite Beijing being the well-known political center of China, its reputation as an international financial center (IFC) lags behind that of Shanghai. In the past decade, the financial sector in Beijing has experienced unprecedented growth and Beijing has strengthened its competitiveness as a financial center. This paper has examined Beijing’s role as a financial centre in mainland China. It shows that Beijing has become a dominant financial center and is the center of banking, security, security, asset management and venture capital in China. 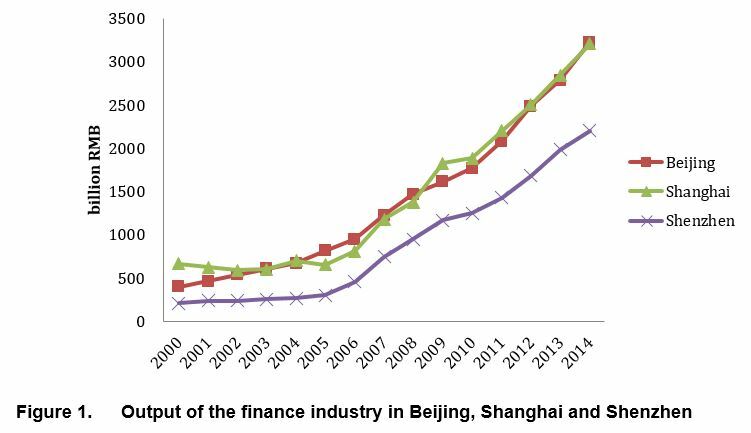 As shown in Figure 1, from 2000-2014, Beijing and Shanghai had been the top two cities in the finance industry within mainland China and the outputs of the two cities were quite close to each other. Indeed, the output of the finance industry of Beijing was slightly larger than that of Shanghai in 2014. 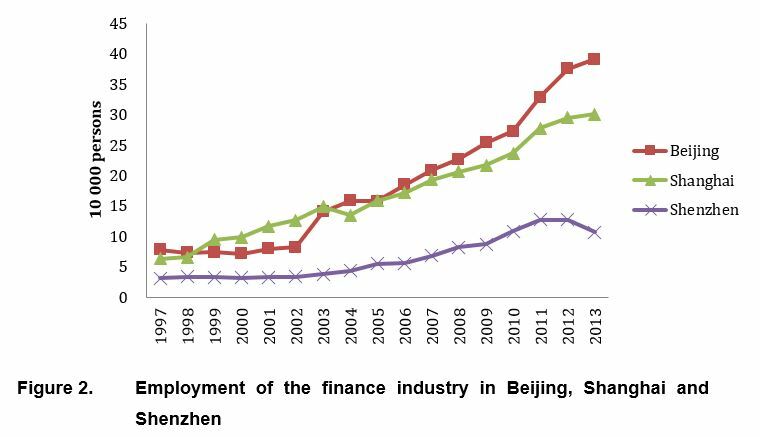 In terms of employment in the finance sector, Beijing has outperformed other cities within China mainland since 2006 (see Figure 2). The paper analyzes the geography of the financial services industry in Beijing based on firm level data. The analysis shows that financial activities in Beijing have been concentrating in the inner city and two particularly significant financial services clusters have emerged. Compared to its western counterparts, the Financial Street has the potential to become a world-class financial district. Regression results show that agglomeration economies, urban planning and being close to metro stations and city center are key factors to shape the location patterns of financial service firms in Beijing. Read more in the Financial Geography Working Paper #10.